Niger is the fourth largest producer of uranium in the world. Unfortunately, it’s also one of the world’s poorest countries – nearly 60% of the population lives on less than $1 a day. In Niger as in many countries around the world, a lack of transparency about the deals done and revenues earned from oil, gas and mining means that natural resource wealth fails to lead to more spending on lifesaving services and faster progress against poverty. For more than 40 years, French nuclear giant Areva has had a virtual monopoly on extracting uranium from Niger, whilst benefiting from unfair tax privileges. With renegotiation happening behind closed doors, the company will put pressure on Niger to ensure it maintains its tax exemptions and benefits. The French Government holds 80% of Areva’s shares. Now is the time to send a message to Areva and to France that pressuring one of the world’s poorest countries into a decade-long unfair deal is wrong. In Niger, 114 out of 1,000 children die before their fifth birthday (compared to 4 out of every 1,000 in France), and 957,000 Nigerien children are still out of school. In 2010, Niger only received $110 million for its most valuable export. A fair, renegotiated deal with Areva would provide Niger with some of the resources they need to turn those statistics – statistics that are about people’s lives – around. 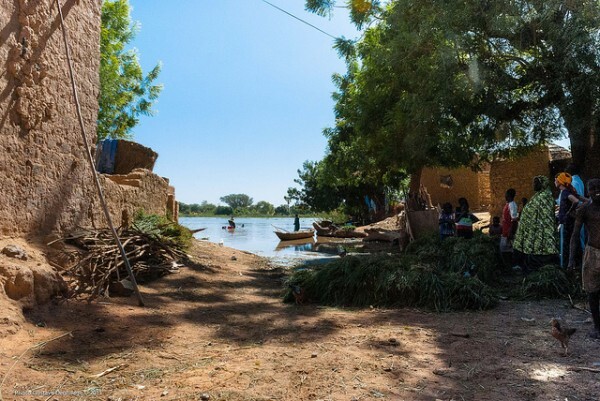 Oxfam France, OSIWA, Publish What You Pay and ROTAB have teamed up with Avaaz to launch a petition urging Areva to play fair in Niger – sign it now.